Published in 1936 by Schmidt and Gunther of Leipzig,this is a rare first edition in fair condition. Slight foxing of some blank pages,flyleaf missing, slight dents in the corners of the covers but otherwise complete.This 408 page hardback is to 165 x 225mm format,contains 27 pages of photos and is in the original German text. 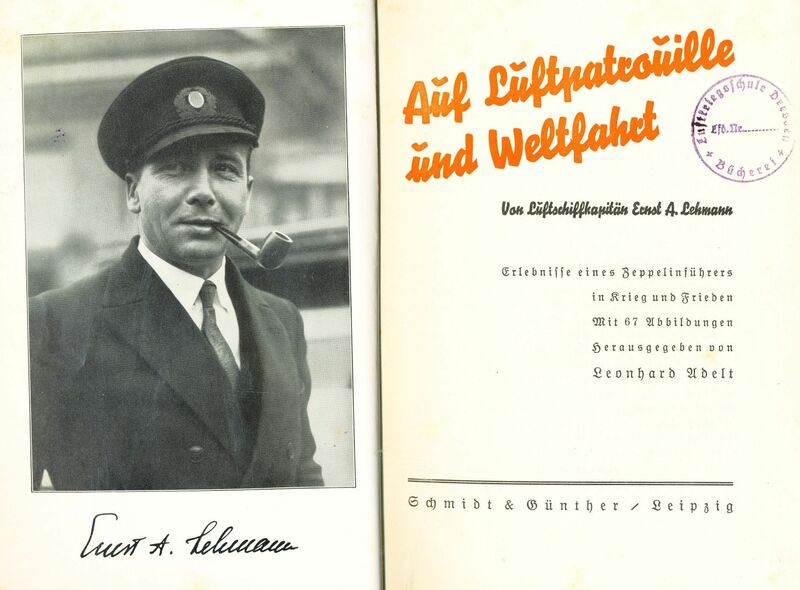 Lehmann's own fascinating wartime service is meticulously chronicled and continues after the Armistice with command of the Graf Zeppelin and he also covers his early Hindenburg flights. Lehmann would succumb to terrible injuries sustained in the Hindenburg tragedy at Lakehurst in 1937 which makes this book a singularly poignant record from one of Germany's most experienced and respected Zeppelin captains. Contains all the original plates-the frontispiece is illustrated alongside.